I have a thing for sunburst mirrors. I may be a dreamer, but I'm also a realist. I know that trends come and go. That's why I am all about getting this look for super cheap! You like super cheap don't you? You could pay hundreds. 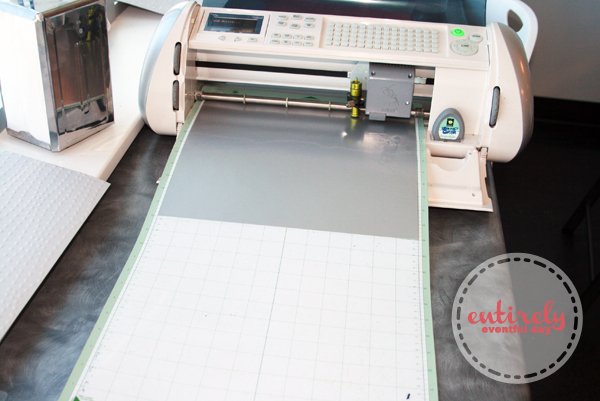 Cricut asked me to help them with a craft show exhibit (click to see my Instagram pic). 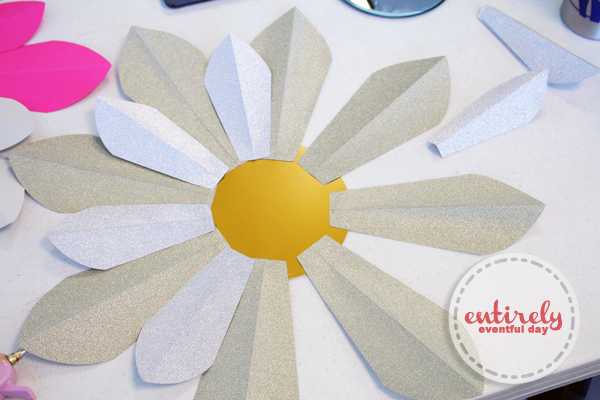 They needed me to create home decor using their paper cutter. Sounds fun right? I was totally up for the challenge. I came up with three, count them, three projects! 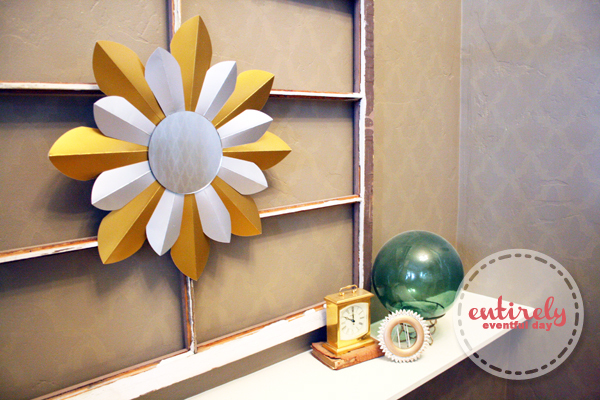 I will eventually share them all with you... but for now... DIY Paper Sunburst Mirrors. Yippee! 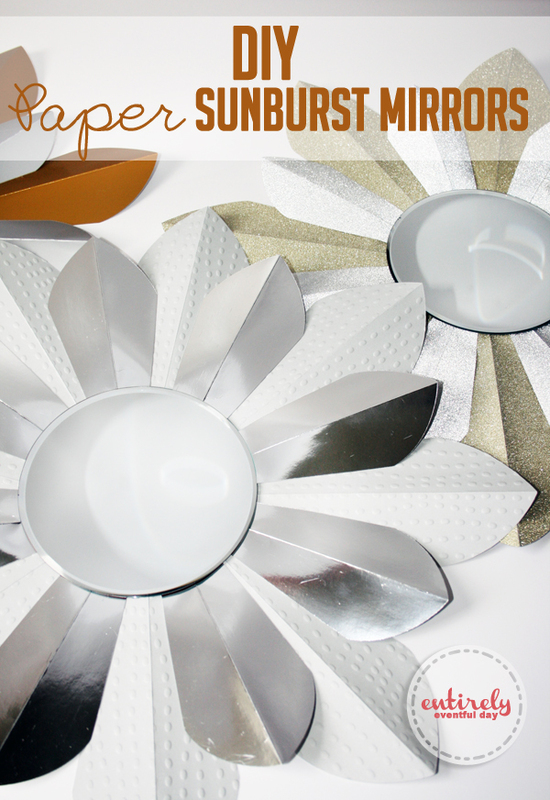 Before I show you how to make your own, take a look at how I would use them in my house. They may be paper, but they don't look cheap! 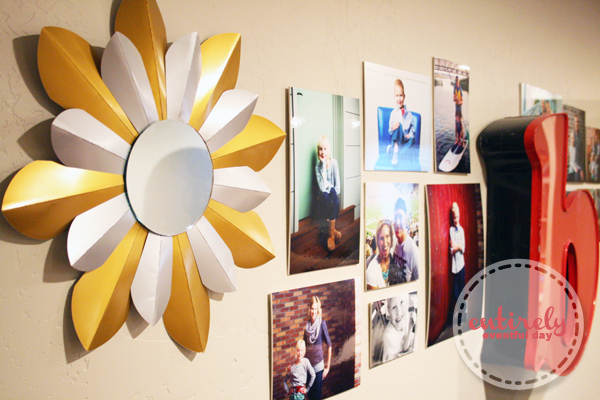 I used thick metallic paper to make this particular mirror. Love. Ok, so here's what ya do. Select your paper. 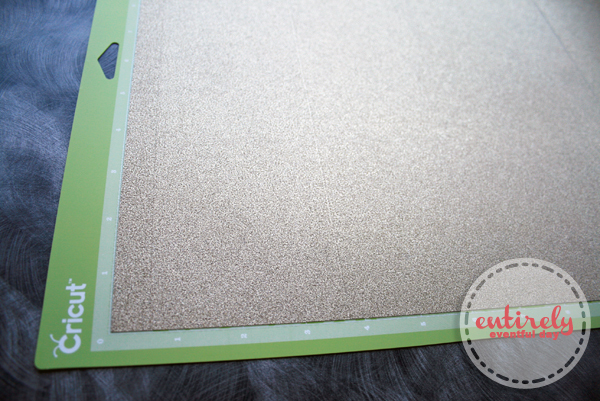 I chose some glitter paper and some thick metallic card stock. 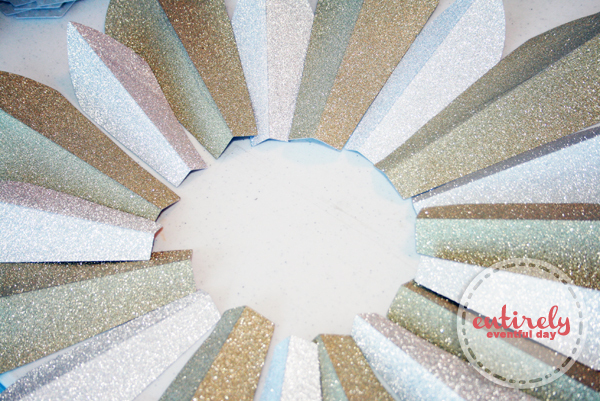 I wanted to keep all my mirrors in neutral metallic shades, but you could do any color really. 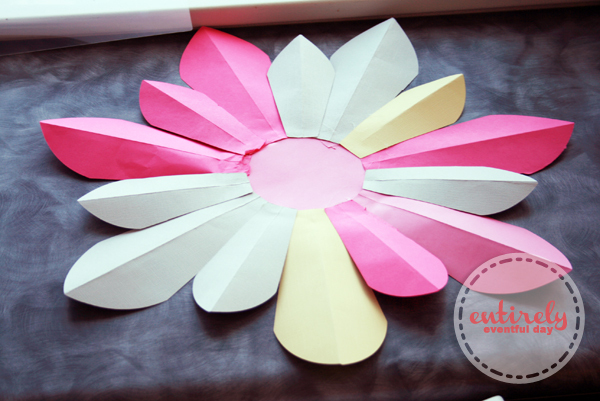 Cut your paper. Using a Cricut machine and getting automatically perfect cuts is obviously ideal. I found a shape and the same shape in two different sizes. 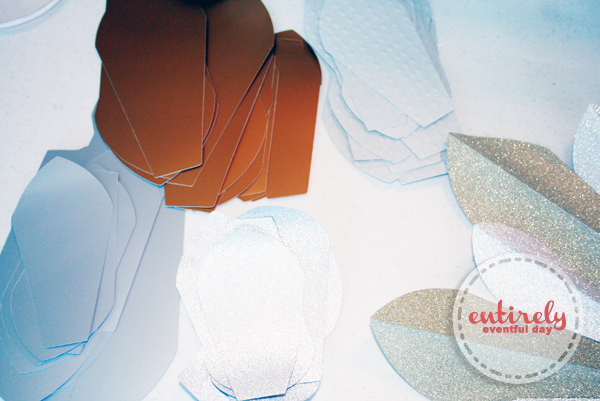 This is what the shapes I chose look like in the Cricut software. You can find them in the "Flower Shoppe." I cut eight of each size. 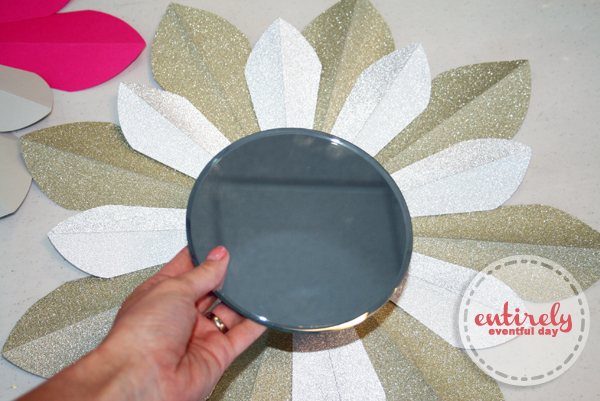 I also cut a 6" circle out of thick card stock for each mirror. Now you have all your pieces, it's time to start arranging them. 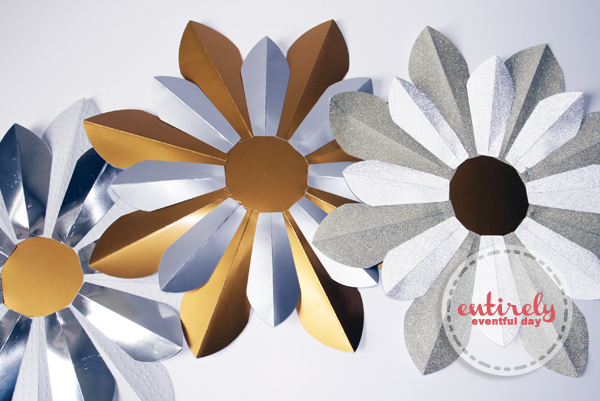 Before I started working with my metallic paper, I made a pattern with scrap paper. You can probably see in the center where I ripped the pieces off to rearrange them. This step is important! Get it just right with one you don't care about and then lay your "real" pieces over it to get the arrangement just so. Ok, you have your pieces, now fold them down the middle and use a bone folder to get a nice crisp fold. 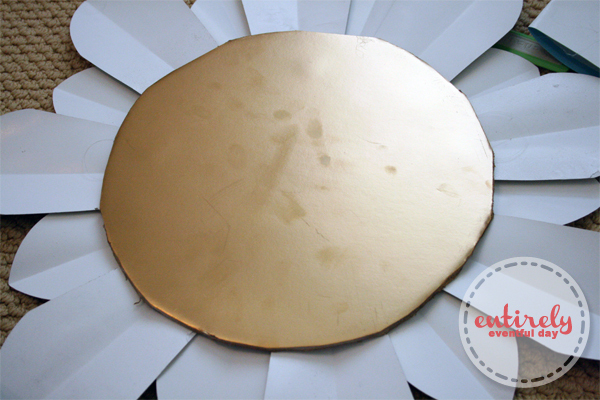 Follow the patter on you template mirror (the one you made of scrap paper) and begin gluing the edges to the 6" circle. Now, just hot glue the mirror in the middle. 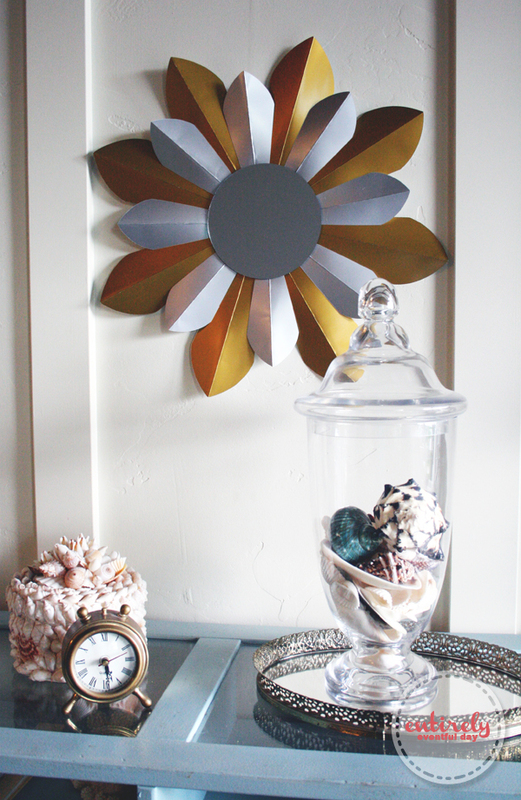 I grabbed this mirror at Hobby Lobby for about $2, I think. Just put some hot glue on the mirror and place it in the middle. And now for the finishing touch... I cut out some foam board, spray painted it gold, and hot glued it to the back. I put a little loop of fishing line on the back side of the foam board on some of them for hanging. Why did I go to the trouble of painting it gold? Good question. OCD is my only answer. Each mirror only cost the price of the mirror (about $2) and the cost of paper (I'm guessing about $3). So, you could have yourself one of these beauties for about $5. Cheap enough for you?